Stitching is a balm to my depression and anxiety and I have been really trying this year to stitch regularly. There have been times when it is a struggle to fit it in but I keep reminding myself it is medicine and I need to do it. So to those of you who stitch – have a great stitching day. To those of you who don’t – make sure you do something today which helps your mental health and makes you feel good. I found this picture the other day and it is so true. 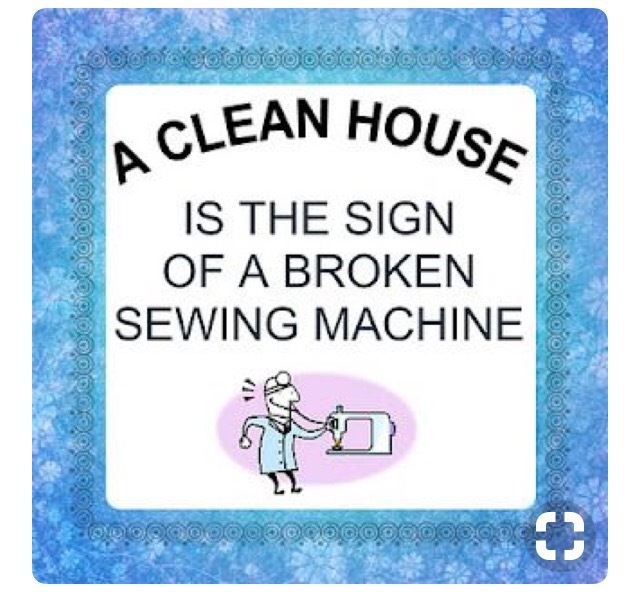 I hate it when my sewing machine is out of action – I feel as if part of myself is missing.